Killer whales are highly social; some pods are composed of matrilineal family groups which are the most stable of any animal species. Killer Whales are notable for these complex societies. Only elephants and higher primates, such as humans, live in comparably complex social structures. It is because of these complex social bonds and society that one should wonder why we attempt keep Killer Whales in captivity. Captivity is about separation and exclusion. It is about the destruction of families and communities. For wild caught animals, many watch their parents and family killed in front of them at a young age so that they won’t be able to put up a fight to defend them from capture. 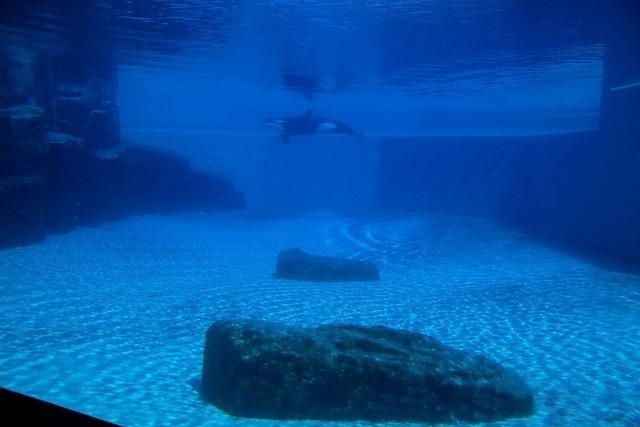 For the animals bred in captivity at Marineland, those parents routinely watch as their offspring suffer and die in infancy. 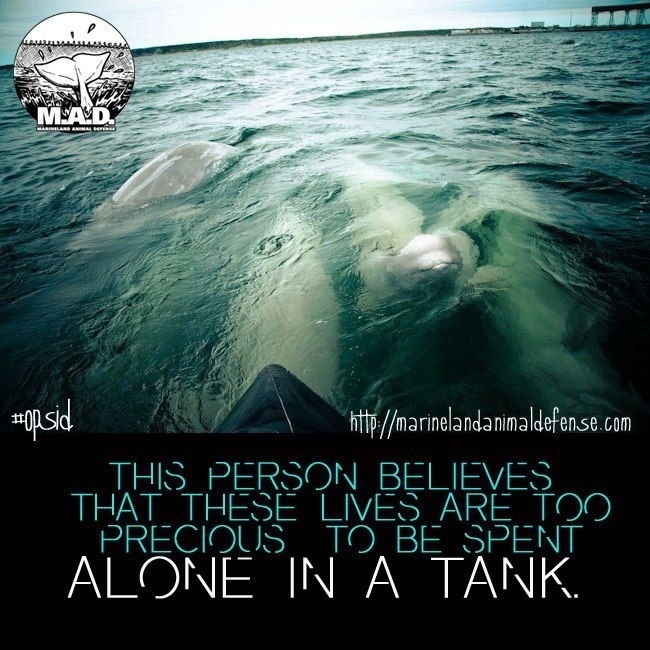 There is no human need to hold other animals in captivity. There is no human need to gawk at or to turn other animals into mere commodities and spectacles. 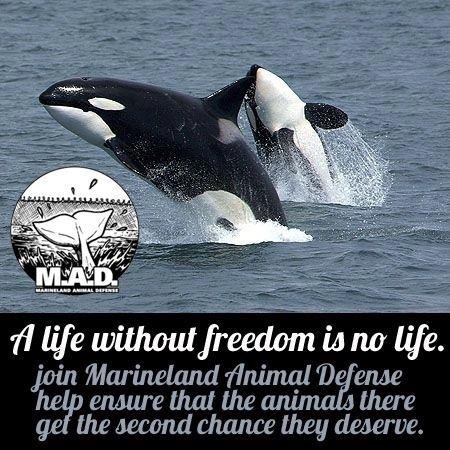 Marineland Animal Defense fights to remove Kiska and all of the other animals at Marineland and to ensure there are no more captives! Kiska alone in her tank.